Not all parents are eager when it comes to paying child support to the other parent. This may be because the parent does not think the parent receiving the child support is spending it appropriately, or because the parent does not think he gets to see his children enough and therefore should not have to pay to support them. Whatever the reason, some parents can take drastic steps to avoid paying child support, including quitting well-paying jobs. Parents who quit their jobs may opt to take lower paying jobs or to take jobs that can allow them to get paid under the table in cash. These steps are designed to cause child support to be set at the lowest possible amount, and if applicable, cause the other parent to pay child support instead. In Pennsylvania, child support is calculated based on the income of both parents, and even when parents have almost equal custody of the children, one parent may still be required to pay child support to the other because of the parents’ income. 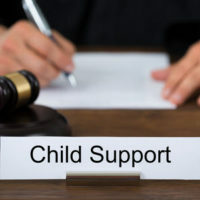 When there is an accusation that one parent is voluntarily and purposefully underemployed or unemployed in order to avoid paying child support, the court can impute income to that parent in order to arrive at a fair child support amount. A court imputes income by taking a parent’s income to be at a higher amount than the parent’s actual income at the time of the child support hearing. This is done to avoid rewarding a parent for trying to cheat his way out of child support. Once a court imputes income, the parent has an obligation to pay support at the level set by the court. The court can look at the underemployed or unemployed parent’s educational background, experience, age, past income, and other such factors to determine if the parent is voluntarily unemployed or underemployed. If a parent’s earning in the recent past show that the parent could be earning a lot more in his field, this guides the court in terms of what amount should be set for child support in line with the statutory guidelines. A person who is accused of purposefully trying to avoid child support by being underemployed or unemployed may counter this accusation by presenting information to explain why he has changed employment. For example, the parent could present evidence that the underemployment or unemployment is for health reasons. The parent can try to show that he took on a less stressful position for health reasons, or that the position he took happens to pay less by has better health benefits. The court would consider the validity of this information in deciding whether or not to impute income to that parent. Before asking a court to reduce or increase a parent’s child support obligation based on imputed income, it is important to speak to an experienced family law attorney. To speak to an attorney about this and other child support issues, contact our experienced child support lawyers in Media, Pennsylvania at Barbara Flum Stein & Associates serving Delaware County in all family law matters to schedule a consultation.